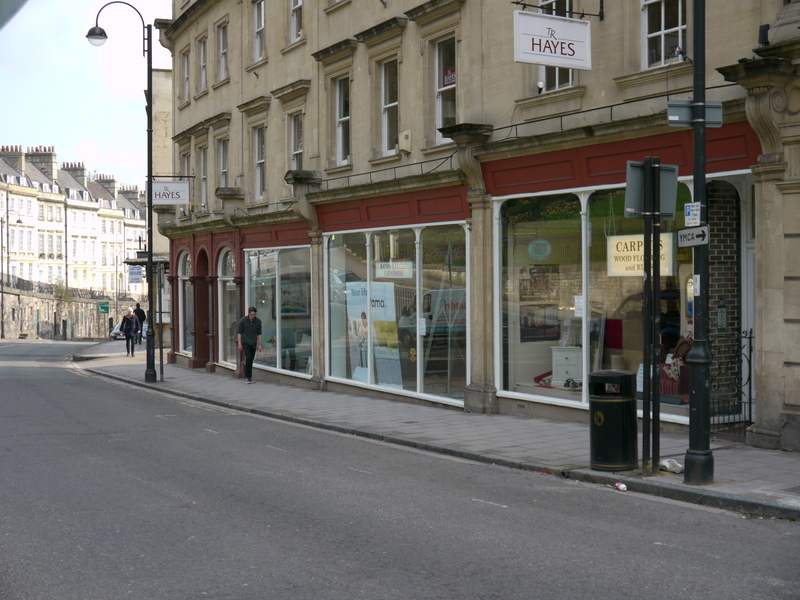 It has to be the most unusual place to look back into Bath’s past but the city’s largest furniture shop in Walcot Street has found room amongst its beds, wardrobes and three-piece suites for a fine display of Roman artefacts. Pop into T.R.Hayes – at the London Street end – and head for the coffee shop which is part of the rear extension added to the premises in the early 1990’s. There you will see a professionally-presented cabinet of curiosities. 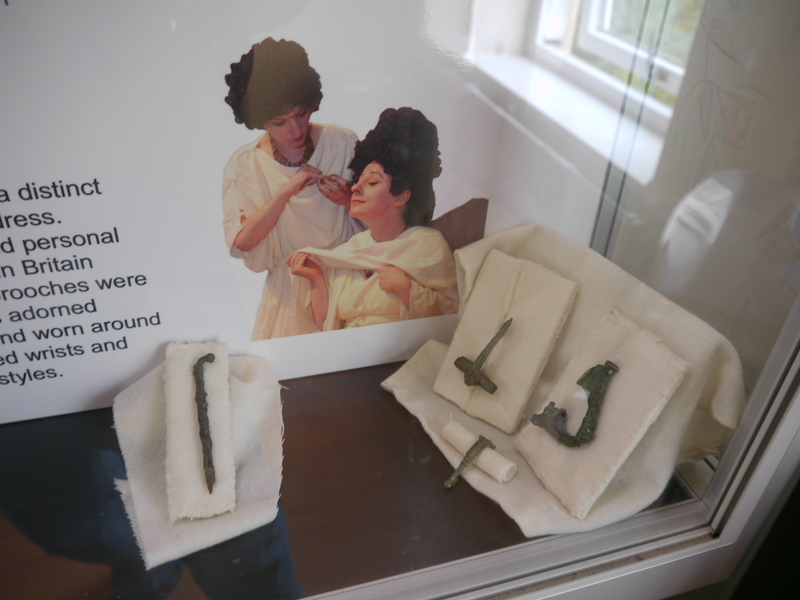 Some fascinating examples of what was found by archaeologists who excavated the site of the planned extension before the foundations were put in. 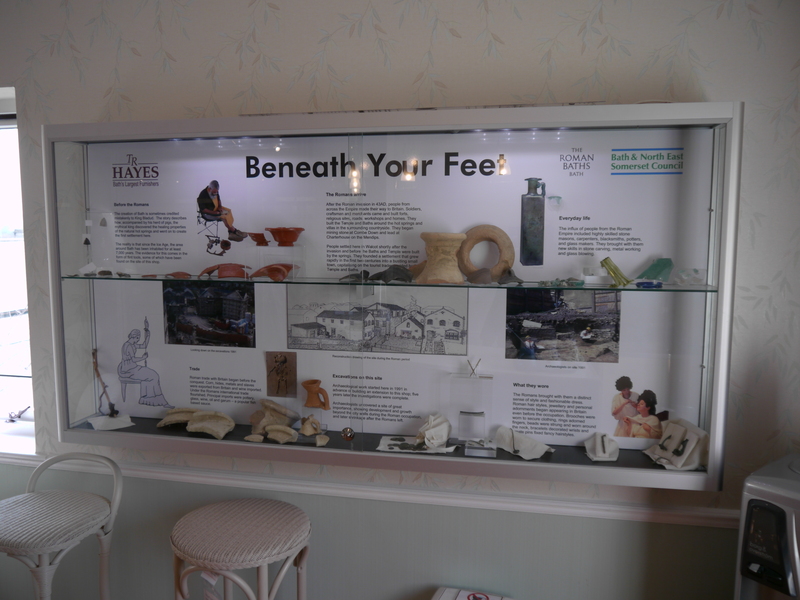 The display of Roman remains at TR Hayes. 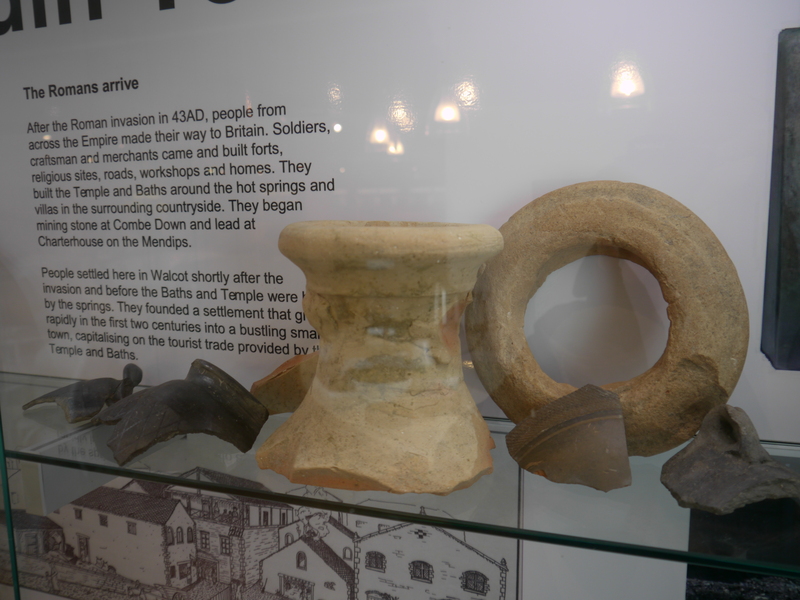 People apparently settled in the Walcot area shortly after the Roman invasion of AD43 and before the baths and temple were built around the hot springs. They founded a settlement that grew rapidly in the first two centuries into a bustling small town capitalising on the tourist trade provided by the temple and baths. Some of the pottery on display. The influx of people from the Roman Empire included highly-skilled stone masons, carpenters, blacksmiths, potters and glass makers. They brought with them new skills in stone carving, metal working and glass blowing. 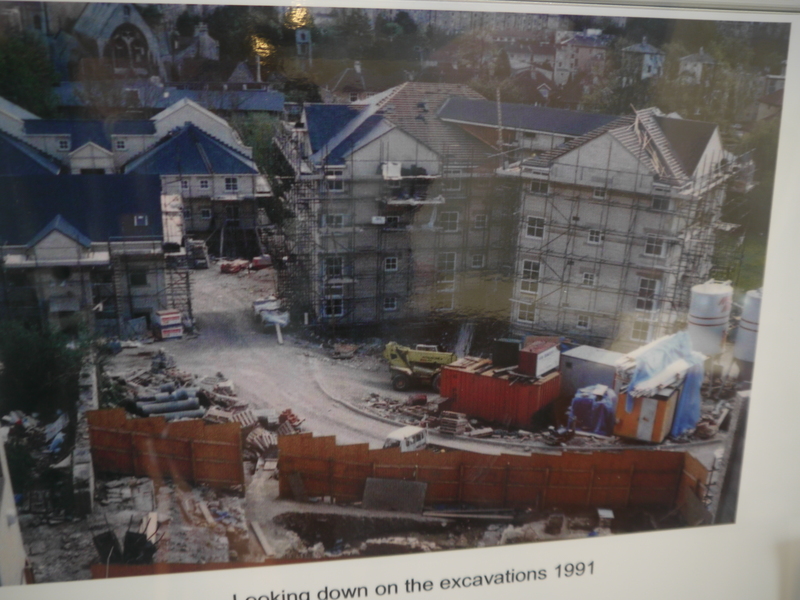 A photograph of the archaeological dig underway. The archaeologists found plenty of evidence of all this activity and you can see displays of pottery, glassware and even jewellery . However, the Romans were not the first to exploit this site. Since the Ice Age the area around Bath has been inhabited for at least seven thousand years. The evidence for this comes from flint tools – some of which have been discovered on the site of the T.R.Hayes store which was founded here in 1920 and is now into its fourth generation – employing over fifty people. While you are in browsing the furniture don’t miss this display, near the coffee shop, at the rear of the showrooms!